Weather is the single most watched component of the daily television news program. The weather is so popular because it assists viewers to make daily decisions, in other words, the weather is the news; so if it’s accompanied with engaging scripting and spectacular presentation, viewers will be glued to it. There’s another bonus too. An engaging weather segment will not only boost ratings for your own program, but it will boost ratings for adjacent programs as well, thereby providing an advertising nugget for the entire network. Weather content captivates your audience and keeps them glued to adjacent programming. The content will be provided in all broadcast formats from SD 4:3 up to HD 1080i 16:9, HBBTV and more. 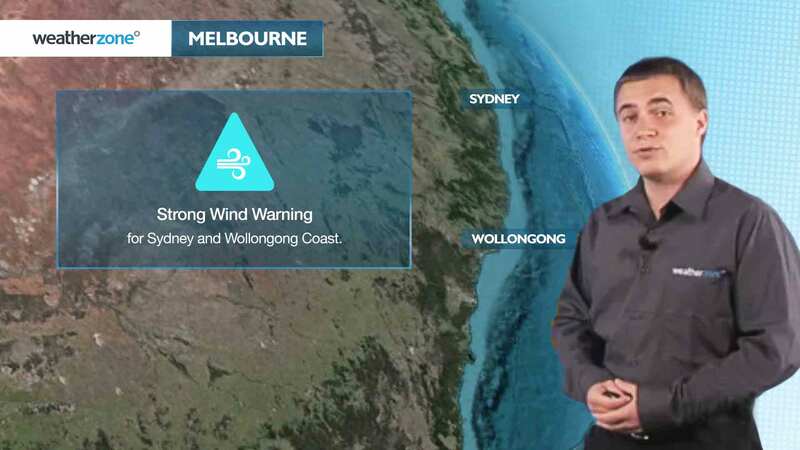 Weatherzone’s media-trained meteorology team will provide your presenters with the scripts and information that allow them to convey the most important weather information in a credible, compelling way. Metacast® Viking: a spectacular dimension in weather graphics. Viking is the world’s most sophisticated weather graphics solution. 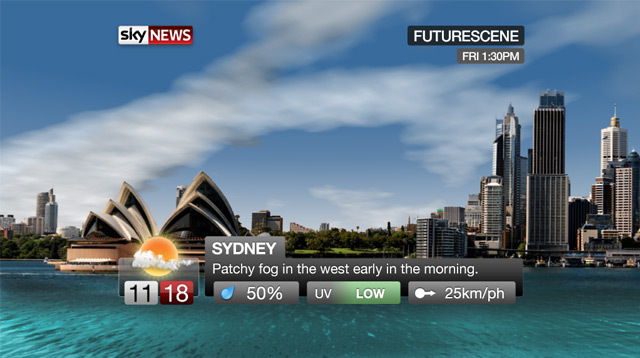 Put simply, it creates stunning television weather graphics in 2D and 3D. Makes your weather stand out from the crowd. Metacast® Viking provides powerful 3D mapping that is spectacular, modern and scalable. Realistic and stunning displays. The powerful rendering software applies fractal, atmospheric and water effects to produce highly realistic, stunning displays. Individualised solutions. The look or styling of the show can be completely individualised to your network’s requirements, or we can work with your network to create a unique look. All broadcast formats. The system can produce all broadcast formats from SD 4:3 up to HD 1080i 16:9. Stable system. It is a highly redundant, stable system running on the Linux platform. Full support. Metacast® Viking is fully supported by Weatherzone’s expertise and unrivalled weather content. Multi-platform solution. Metacast® Viking can also simultaneously provide content for online, mobile and other new media applications. WeatherStreamTM: broadcast-ready segments delivered as a complete, visually spectacular show. 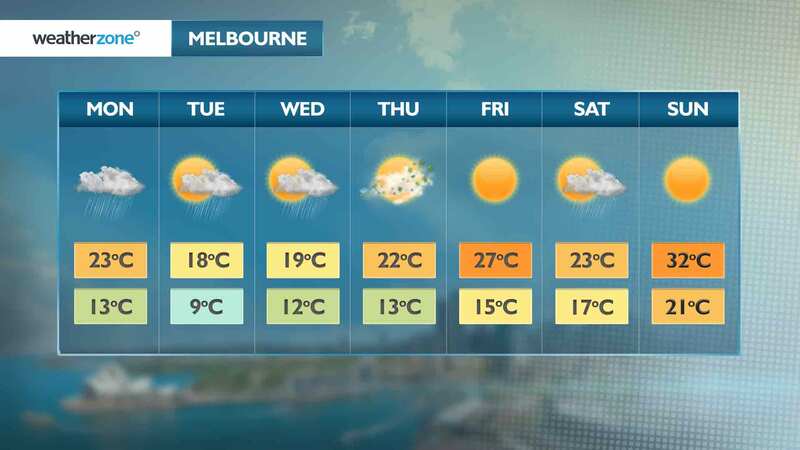 ‘Big station’ weather graphics. It’s difficult to stay ahead of the technological race in order to produce ‘big station’ weather graphics. WeatherStream™ gives you a service that looks fantastic but is completely affordable. Beautiful graphics. Audiences today want the weather to be visually beautiful and more detailed. WeatherStream’s™ powerful rendering software applies fractal, atmospheric and water effects to produce highly realistic, spectacular displays. Completely individualised. The look or styling of the show can be completely individualised to your network’s requirements, or we’ll work with your network to create a unique look. Supplied in all formats. WeatherStream™ is provided in all broadcast formats from SD 4:3 up to HD 1080i 16:9. On Air Presentations: television studio weather presentations from our meteorological team. Weatherzone can produce ready to broadcast television weather presentations that are created by our meteorological team. The video is delivered several times a day, but the timing can be adjusted to suit your daily schedules. Due to the accuracy and visual engagement of our weather presentations, they successfully increase audiences across the mediums of television broadcasting, online websites and mobile websites. Credible weather presentations that cover major events. Audiences like to hear their weather information from people with expertise. Delivering an accurate weather presentation that covers major events requires strong weather knowledge that only our experienced meteorologist can deliver. Saves you time and money. Our ready to broadcast weather video is delivered several times daily, with timing adjusted to suit your changing schedules. 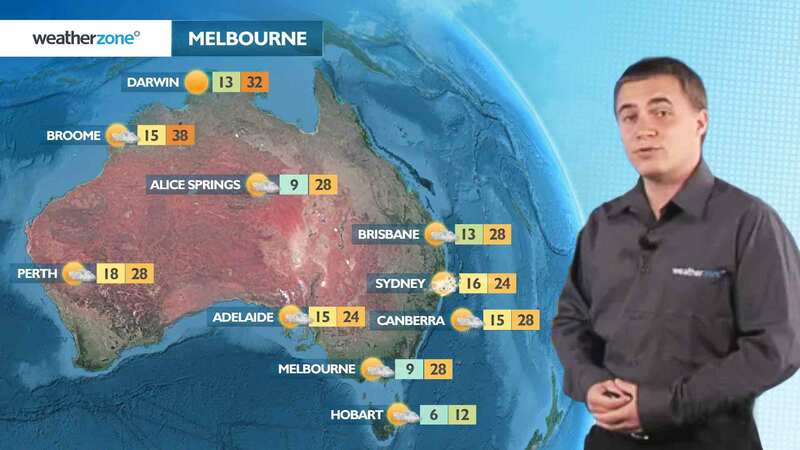 It can be produced in formats to suit television, online or mobile applications, and is fully supported by Weatherzone’s unrivalled weather content. Boosts your audience. The thoroughly researched and accurate content focuses on weather that relates to your viewers’ needs and interests. In addition, the presentation can be developed to suit the style of the specific delivery mechanism. Scripting Services: accurate, interesting and credible delivery. Weatherzone delivers accurate, daily meteorologist scripts that boost the credibility of the presenter, and boost ratings in the process. These scripts cover all newsworthy weather while minimising your valuable production time. Written by experienced meteorologists, Weatherzone scripts are broadcast-ready, and are completely customised to your network’s needs and your presenter’s style. Boosts credibility and ratings. Viewers want their weather information from an expert. With Weatherzone scripting, all eyes and ears will be on your weather presenter, who will be perceived as a seasoned meteorologist! Major events are covered. Due to our meteorological expertise, Weatherzone delivers an accurate, credible and interesting weather presentation that focuses on weather that affects your viewers. Saves time, money and hassles. Your script is delivered to the presenter in a broadcast-ready format. The timing can be adjusted daily to suit changing schedules, and the writing style can be tailored to suit your presenter’s style. Unrivalled expertise. Your script is thoroughly researched and fully supported by Weatherzone expertise and market-leading weather content. 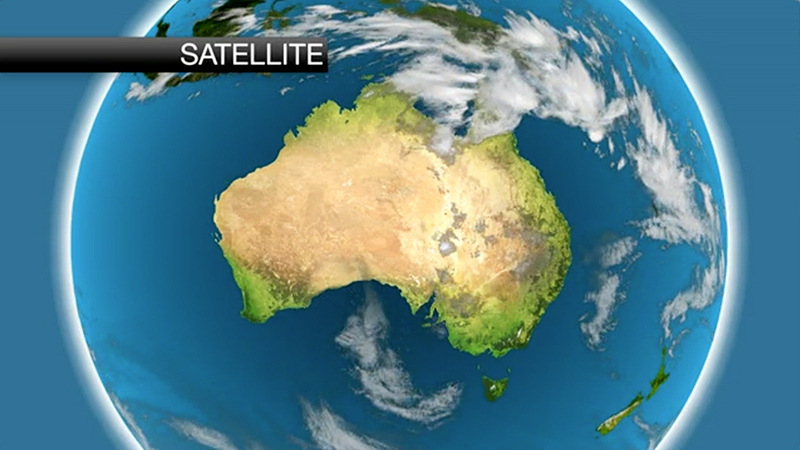 Weatherzone has access to more weather-related content than any other organisation in Australia. Briefing services provide accurate information during severe and breaking weather situations.